The basic list of the “Traits of an Empath” that has been circulating the internet for a few years now is fairly straightforward, however, you will see crossover with other areas such as Lightworkers, Indigos, HSPs (Highly Sensitive People or Highly Sensitive Persons), Psychics, Mediums and even aspects that are levels of ascension. The base definition of being an empath is “feeling the emotions of others as if they were your own”. Keep in mind that once an empath has learned control of their gift, these “traits” aren’t there any more. We can (mostly) handle the bad aspects (including health issues) and we just utilize our gift(s) to help others. Therefore, if you are just now looking at the list of empath traits, but are in control of your gift, try to remember what it was like before you learned that control. I’m writing this blog because the traits of an empath are different than the listed traits of clairsentience. As I stated earlier, there are some similarities, but the attempt to categorize an empath as simply a clairsentient is wrong. Theoretically, many empaths have the clairsentience gift and many clairsentients have the empath gift. Many psychic gifts are learnable. If you already have the empath gift, to amplify your gift to include clairsentient traits is definitely possible. Not necessarily easy, but a lot easier than any other psychic gift. You’re a highly sensitive individual, especially when it comes to the energy of your surroundings. You tend to get overwhelmed in large crowds or places where violet acts have occurred. When you walk into a room you can quickly tell if people are relaxed and enjoying themselves, or if there’s tension hanging in the air. You’ve been known to describe places or buildings as feeling “heavy” or “light”. You have strong initial impressions about people that almost always prove to be spot on. You’re able to easy relate to where others are and understand their perspective and where they’re coming from. You experience spiritual chills or get goosebumps as a sort of validation of truth. You can feel when there are angels, ghost or other spirits present in a location or around you. When speaking, you tend to use the language “I feel that” rather than “I see” or “I know”. You can easily read people, and perhaps even feel their pain or feelings of elation within your own body and energy. You feel somewhat nauseous around violence, or when there are dark or negative entities present. The presence of angels feels light, uplifting and joyful to you. You’ve noticed temperature changes, or breezes in a room without any physical explanation for “why”. You have a keen sense of smell and taste that works to tune into subtle energies, as well as physical items. You can sense when two people have been arguing, are angry with each other or when there’s something between them. You sometimes feel tingling sensations on the top of your head. You’ve felt there was someone in the room with you, at times when you’ve been completely alone. You’ve thought of someone in your life and gotten the sense you could feel what they were feeling. You’ve experienced the sensation of being patted on the shoulder, your hair brushed, or your hand held with out anyone being there. You feel tingly sensations at times that have a way of bringing you to a full alertness, for no apparent reason. Your mood seems to fluctuate depending on who you’ve talked to, or who you’re surrounded by. Out of no where you’ve experienced your vibration lifting, and strong energy sensations in your body. You can feel in your gut when someone is telling the truth or lying. Not all clairsentients are empaths. This is where some people get confused with people who are narcisists, psychopaths or sociopaths. People with these disorders can mimic the empath gift or even develop the clairsentience gift, making it seem like they are empaths. Then these phony empaths creep their way into an innocent and true empath’s life. Inexperienced empaths do not realize it until they are drawn in completely and basically trapped by these fake empaths. The easiest way to know if someone is truly an empath or not (other than knowing and trusting your instincts) is one observable indication. If this so-called empath can cause you or anyone, mental or physical pain, they are not an empath. cause the emotional pain and not feel it themselves. Let me repeat that important fact: true empaths cannot purposefully cause emotional pain. As you can see, there are definitive differences between being an empath and having the clairsentience gift. This is mainly because the base trait of being an empath is feeling, actually feeling the emotions of others as if they were our very own emotions. We can use this to help people. Clairsentience is a psychic gift that can be learned and used to manipulate and control when in the wrong hands. Empaths must learn to recognize the signs of fake empaths and learn to protect themselves, preferably by avoidance. In the right hands, the clairsentience skill is a great help when helping and guiding others. Of all the aspects of the Differences Between Series, clairsentience is the primary trainable amplification of your empath gift. This post was republished from gostica.com. You can find the original post here. 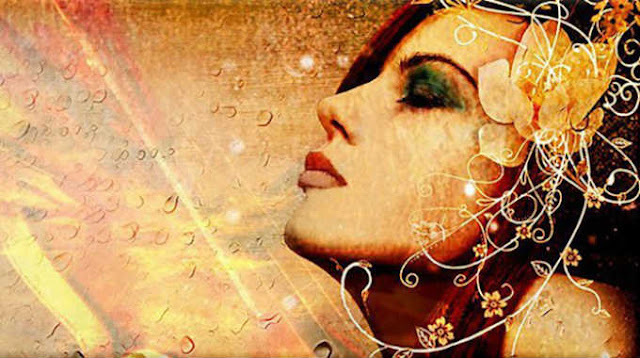 The 10 Types of Empaths – Which One Are You? Don’t Ignore These Symptoms Of Energy Shifts! Test: How Connected Are You To The Universe? 7 Traits of Indigo Adults: Are You One? The New Science behind Empathy & Empaths.